This is the ideal riverside St Lucia lifestyle with sweeping views across leafy Guyatt Park and the glow of the city lights at night. This spacious light filled apartment with stylish interiors presents a contemporary residence that promises a lifestyle simply without compare. Complimented by rich timber floors which are gentle underfoot and a beautifully presented near-new bathroom, at 127sqm (including lock-up garage), this two bedroom residence has it all! Including a renewed and spacious kitchen with stone bench tops, stainless steel appliances, integrated dishwasher and an abundance of cupboard space. To top it all off, there is a discrete laundry and ample storage throughout the apartment. Other features include ceiling fans in the main bedroom and living area, a massive entertainers balcony (sunroom), one car lock up garage, and all this positioned in a quiet location with direct Guyatt Park City-cat access. Nested at perfect height to Guyatt Park, your fourth floor home provides a superb vantage point for you to experience all the benefits of riverside living…cooling breezes, spectacular sunrises, perhaps a hit of tennis before an afternoon swim. It’s the lifestyle you have been searching for! The complex ‘River Park View’ ticks all the boxes. 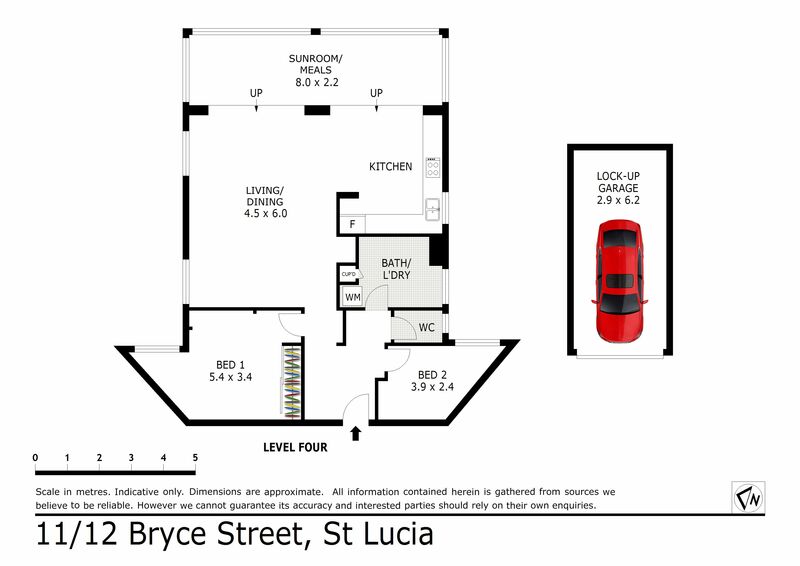 Right in the heart of sought-after St Lucia, the complex boasts a full size tennis court, salt-water pool, gym and two saunas. The complex also has an onsite caretaker manager who does a great job retaining the qualities of the building. The Guyatt Park City-Cat Terminal being only 190m away is a perfect river city connection. Within level walking distance to The University of QLD (ten minutes), local shops (three minutes) and Toowong Village & Indooroopilly Shopping centers are only a short seven minute drive away. This blue ribbon address will deliver the premium lifestyle you have been dreaming of. :: Large separate kitchen, large windows throughout allowing plenty of natural light. :: Wonderful community spirit in building. :: Resort-standard facilities: Gym, Pool, Sauna, Tennis Court + On site caretaker. :: Footsteps to shops and eateries. Current owners are relocating, so reluctantly, it’s time to sell up and sell they will, don’t miss this one!